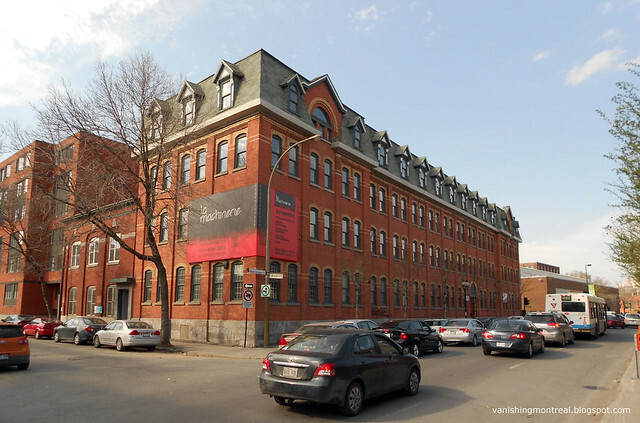 This gorgeous building on St-Jacques, between Bourget and Rose De Lima, will be converted into condos called LA MACHINERIE. Garda's offices were situated there for a couple of decades. On the top floor there used to be a halfway house for aboriginal criminals called Waseskun House, which previous to this location was situated in Pointe-Saint-Charles at this abandoned building. Back in 1997, I worked at Waseskun House for 2 months as a security guard. I used to give walks to inmates all over Montréal. The photo below shows the back court. Part of the old red brick building with the chimney is this abandoned building on Rose de Lima, which was supposed to have been demolished years ago. 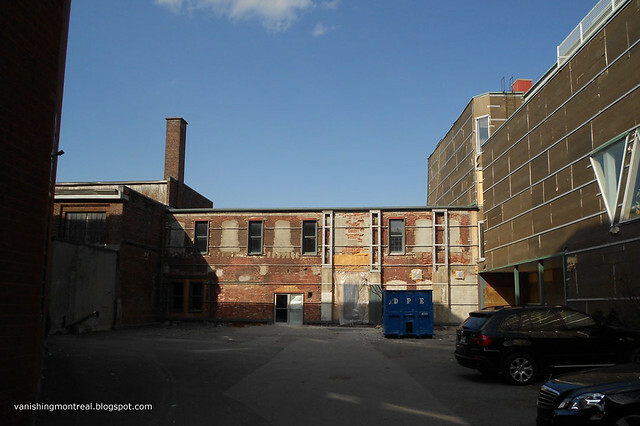 THE GAZETTE has an article about the sector and the former Garda building is featured in the article (see next post below).